Because we celebrate women around the world, it’s only normal to pay tribute to their biggest fans and idols: their mothers. On the occasion of Mother’s Day, Esposa celebrated every bride’s mother with a double surprise. v In addition to being overwhelmed by the sight of their daughters in a white Esposa wedding dress, mothers were caught off guard with flower bouquets handed by their daughters upon opening the fitting room curtains, as a small gesture of love for Mother’s day. Like every small gesture that can go a long way, this one did too, creating a chain of intense emotional moments across Esposa stores. Every bouquet came with a flow of words from the heart, expressing each bride’s feelings of gratitude, appreciation, admiration, and love for her mother. Amidst hugs and tears, Esposa brides-to-be recognized their truest friend, their superwoman, and their idol in their mothers, thanking them for their infinite support and love, and for being there every step of the way and every day, big or not. 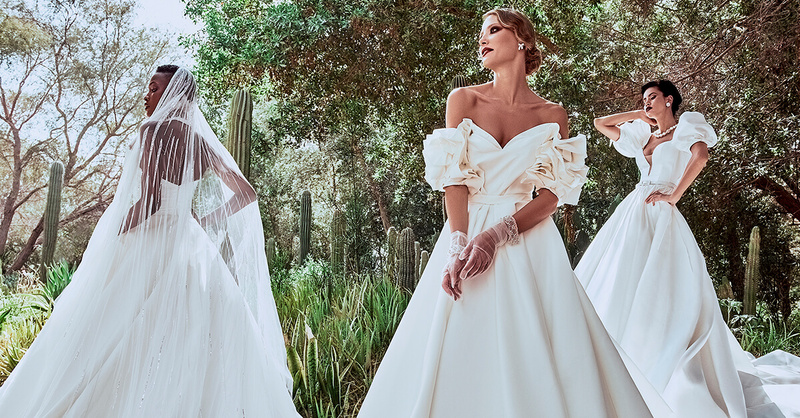 With a presence spanning over 30 years, Esposa is a luxury bridal boutique offering every bride-to-be a one-stop shop to find her perfect wedding look, from her dream gown to her wedding shoes and the accessories she needs. Esposa Group includes the Esposa Privé stores located in Downtown-Beirut and Dubai where bridal creations offer the choice between a multi-brand selection showcasing the works of international designers including Viktor and Rolf, Carolina Herrera, Marchesa, Monique L’huillier, and Esposa Privé’s own couture brand, Esposacouture, as well as a wide evening segment and a selection of shoes and accessories. Esposa Group encompasses also the Esposa boutiques located in Lebanon (Dbayeh and Ramleh El Bayda), and Dubai, showcasing a multi-brand bridal collection in addition to own couture brand Plume by Esposa, an evening segment, and a selection of shoes and accessories.